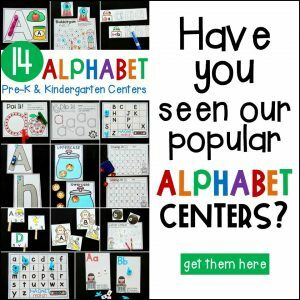 These addition centers are perfect for working on addition within 5 and addition within 10 with Pre-K and Kindergarten students! 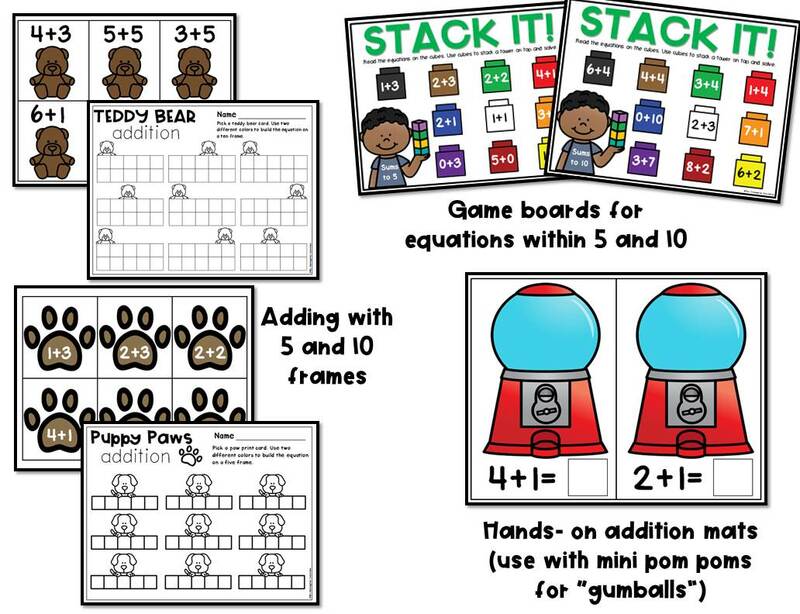 If you are looking for hands-on and engaging addition activities for your classroom – these are for you! Designed with both Pre-K and Kindergarten in mind, these addition activities will give you a variety of centers and options for your students. 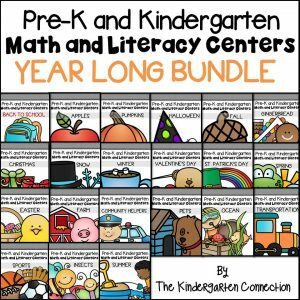 This pack is filled with engaging addition centers for Pre-K and Kindergarten students that are NOT themed and can be used ANY TIME of year! (see the preview and description below for full details). 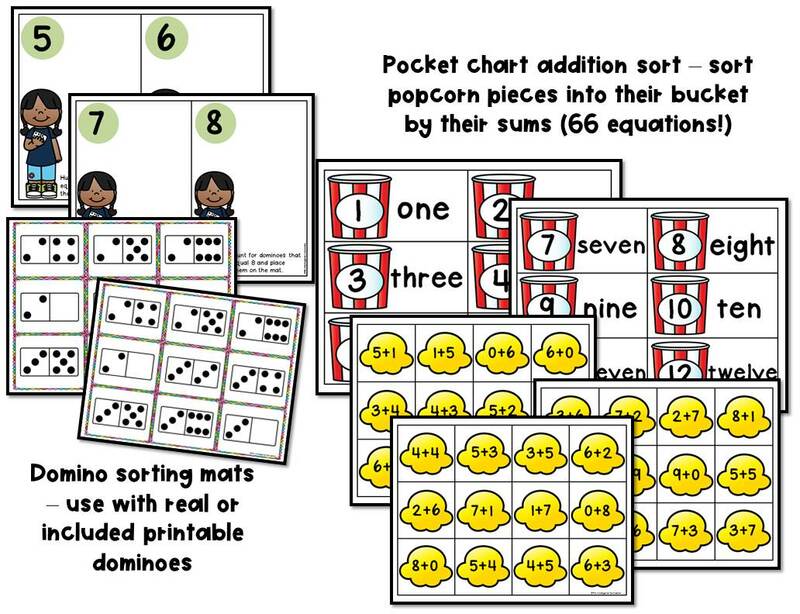 Addition Domino Sort– Sort dominoes (use real ones or the included printable ones) onto mats by their sum! Sprinkle Sums – (laminate or use a sheet protector) Roll two dice and write the equation under the cupcake. Put “sprinkles” on the cupcake to solve. 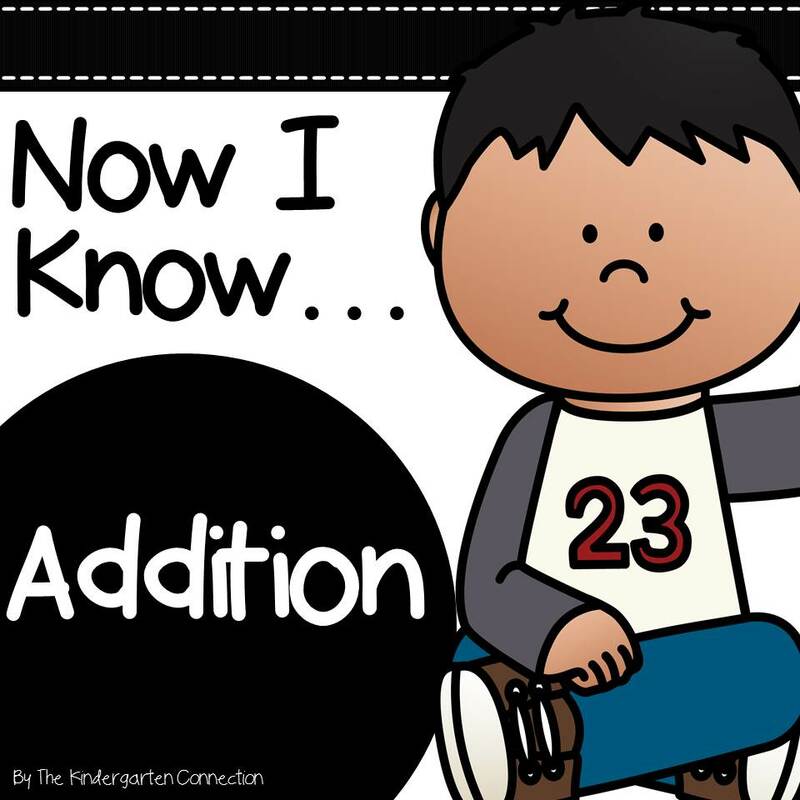 Cupcake Addition Cards – Print and laminate. Use beads or sequins as “sprinkles” on the cupcakes to solve the equations. 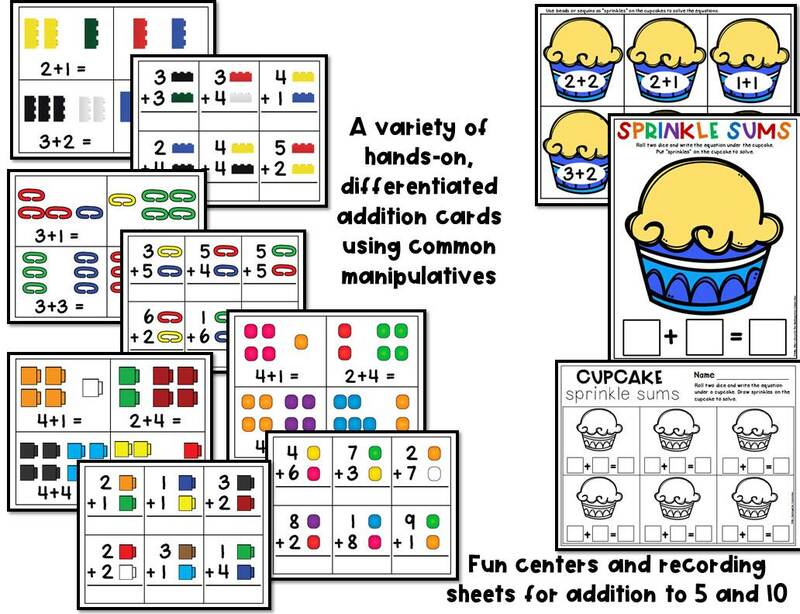 Cupcake Sprinkle Sums (Version 2) – Roll two dice and write the equation under a cupcake. Draw sprinkles on the cupcake to solve. Teddy Bear Addition (Sums to 10) – Pick a teddy bear card. Use two different colors to build the equation on a ten frame. Puppy Paws Addition (Sums to 5) – Pick a paw print card. Use two different colors to build the equation on a five frame. Stack It! (2 levels – Sums to 5 and Sums to 10) – Read the equations on the cubes. Use cubes to stack a tower on top and solve. 8 game boards included. Gumball Addition Mats – Print and laminate. Use mini pom poms or other manipulatives as “gumballs” inside the machines to solve the equations. 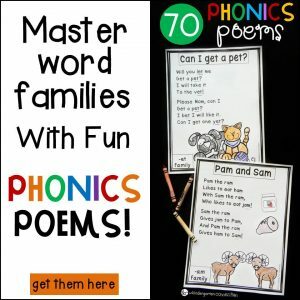 20 addition mats included.